Ganesha Chaturthi or Vinayaka Chaturthi is one of the widely celebrated religious Hindu festivals. This festival is observed as the birthday of Lord Ganesha, son of Lord Shiva and Goddess Parvati and the bestower of Wisdom, prosperity and good fortune. This festival is observed on the Shukla Chaturthi of the Hindu month of Bhaadrapada. The above date usually falls between mid-August to mid-September. The Vinayak Chaturthi generally lasts for 10-12 days with Anant Chaturdashi as its last day. This auspicious festival becomes spirited with the joyous indulgment of devotional songs, dances, lively drum beats and various other performances like lazium, cultural programs etc. Another common tradition includes chanting the vedic hymns, recitation of Ganapati Atharva Shirsha. The preparations for this festivity are observed Two to three months prior to Ganesh Chaturthi, apart from moulding and creating artistic clay models of Lord Ganesha in various poses preparations include decoration of homes, creating huge ‘Mandapas‘, preparing sweet dishes etc. The size of these statues may vary from 3/4 of an inch to over 25 feet. Ganesh idols are installed in colorfully decorated homes and the temporary specially designed structures “Mandapas” (Pandals) in various localities. These Pandals are beautifully decorated either by flower garlands, lights, etc. or are theme based decorations. The most popular sweet dish during this festival includes the modak (A dumpling prepared from rice or wheat flour stuffed with fresh or dry-grated coconut, jaggery, dry fruits and other condiments).These Modaks or Modakam are either steam-cooked or fried. Another popular sweet dish includes Karanji which is quite similar to the modak in taste but it has a semicircular shape. Ganesh Chaturthi is widely celebrated in the states of Maharashtra, Karnataka, A.P, Tamil Nadu and many other parts of India. 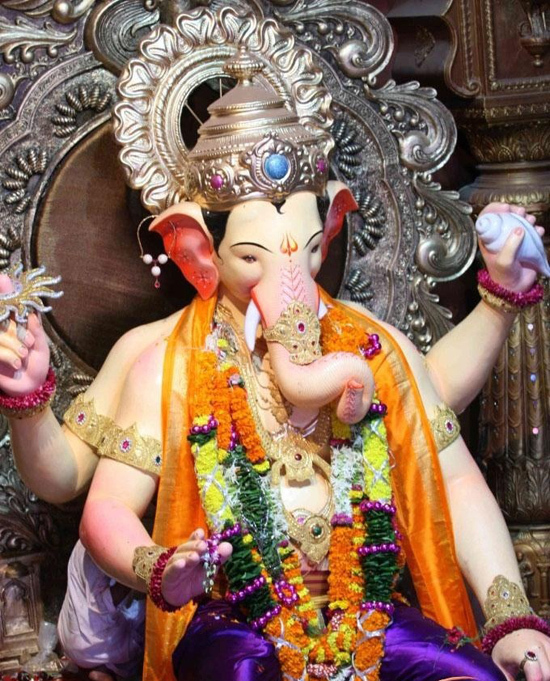 Vinayak Chaturthi got major exposure by Chatrapati Shivaji Maharaja, the great Maratha ruler, who promoted this festival in order to promote culture and nationalism. Apart for Shivaji Maharaj this festival became an epicenter of attraction of various well renowned personalities. Lokmanya Tilak (a freedom fighter) played a major role in its revival; he promoted and encouraged Ganesh Chaturthi in order to spread the message of freedom struggle and to defy the Britishers who had banned public assemblies. This festival developed a feeling of unity and revived the patriotic spirit and faith among the Indians. This public festival created the background for various leaders who delivered speeches in order to inspire people against the Western rule. The festival is so popular that the preparations begin months in advance. Poojas (prayer services) are performed daily. The artists who make the idols of Lord Ganesh compete with each other to make bigger and more magnificent and elegant idols. The gigantic idols may even reach 10 to 30 meters in height. After the rituals, these statues are carried to be immersed in the sea, generally after one, three, five, seven or ten days. Thousands of processions converge on the beaches to immerse the holy idols in the sea. 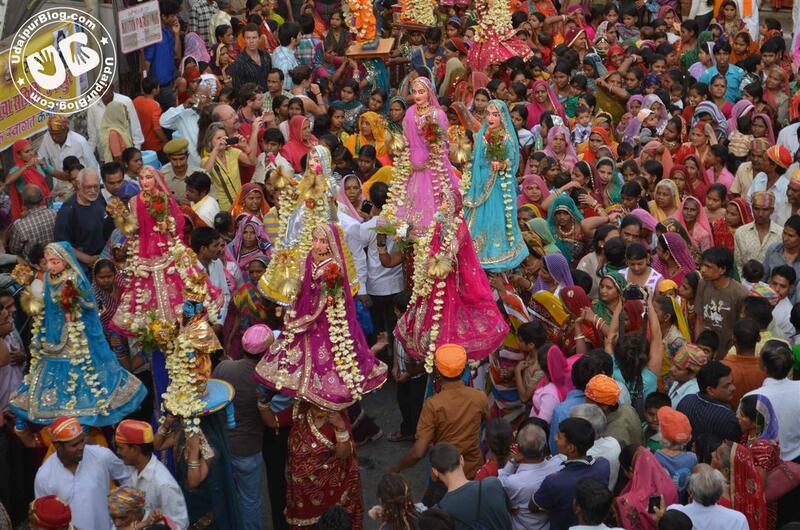 This procession of immersion is accompanied by drum- beats, devotional songs and dancing. Mythologically, it is still forbidden to look at the moon during these days as according to an old Story, The Moon God once mocked Ganesha when he fell from his “Mushak” or his vehicle and thus Moon God was cursed by Lord Ganesha.